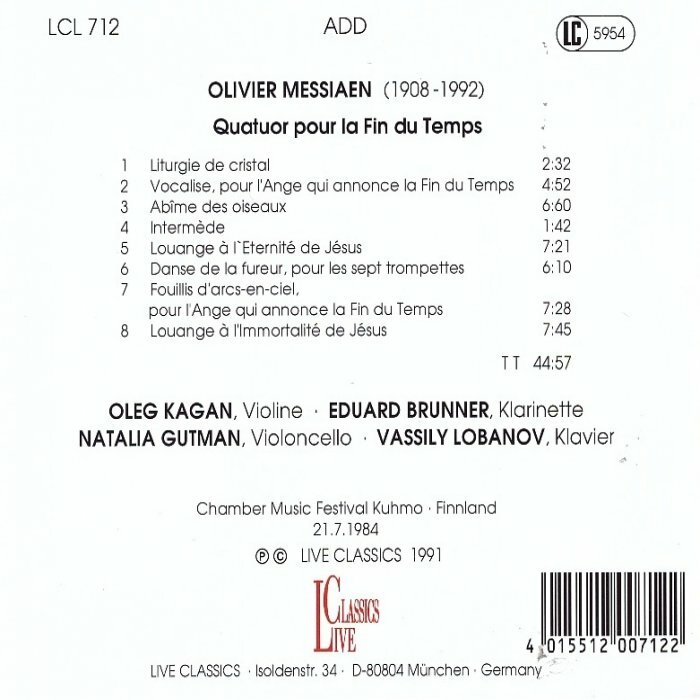 Another hint for Kagan’s ultimate state of maturity renders the 1984 recording of Messiaens’ quartet “for the end of time” which was written down in a war’s prisoner camp during the Second World War, bearing the title “Quatuor pour la fin de temps”. 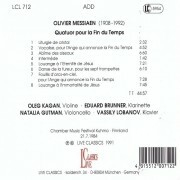 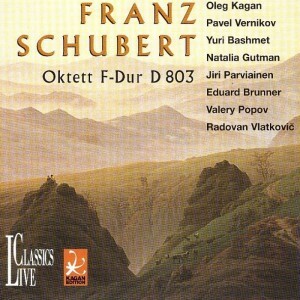 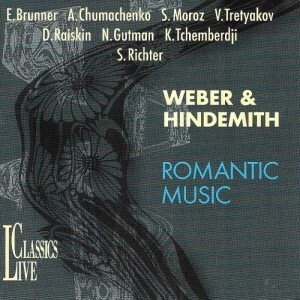 His partners are the cellist Natalia Gutman, clarinetist Eduard Brunner and pianist Vassily Lobanov. 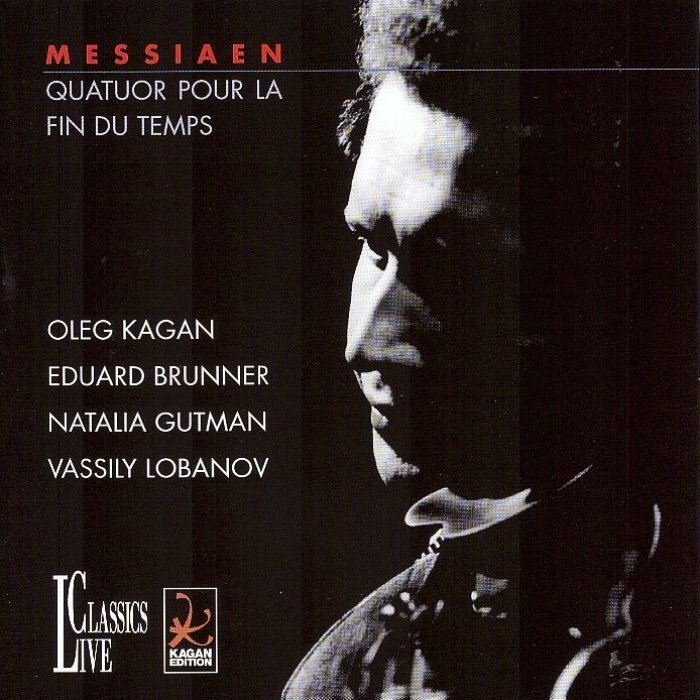 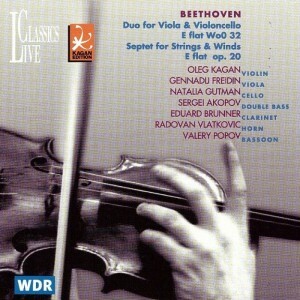 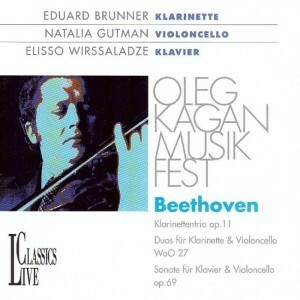 Here, Kagan’s qualities as a chamber music player are audible once again, in the same way they become obvious in his interpretation of Gubaidulina’s duet for violin and cello “Rejoice” with Natalia Gutman: they lie in his ability to listen to music within the four dimensions of time and space – and to be near when it evolves from the depths of creation.